My point in reality started oscillating. My consciousness could be many places at once. I allowed myself to see beyond time and space as mortals knew it . . . I was sitting in the cave on Kwailu, in exactly the same spot I sat before when Drogt gave me his life-knowledge. A shadow moved in front of the firelight in the passage. It took on form as it came closer. I recognized the shapely legs before the fire played across Mara’s beautiful face. I stopped breathing, my heart constricting with pain. She averted her eyes as she glided up to the platform and took a position opposite me. I could not place her mood. She kept a black cape tightly wrapped around her aura. Only a few shards of golden light escaped where she had pulled it together in front of her. I could not speak. For all that mattered, I could have been carved from stone. "If this is only a vision, let me not wake from it" I begged her. "It is a shared moment. I came to say goodbye. There is another that needs your love, and you hers. It is time for the young and adventurous to continue." She raised her right hand and placed the palm over the scar on my chest. It felt warm and very real. "I release you from any perceived loyalties. You are free to pursue what you must. Go, have peace. When you wake, your heart will be healed." I placed my hands over hers. Their warmth eased the intense pain I felt. Looking deeply into my eyes, the vision dissolved to nothing . . . 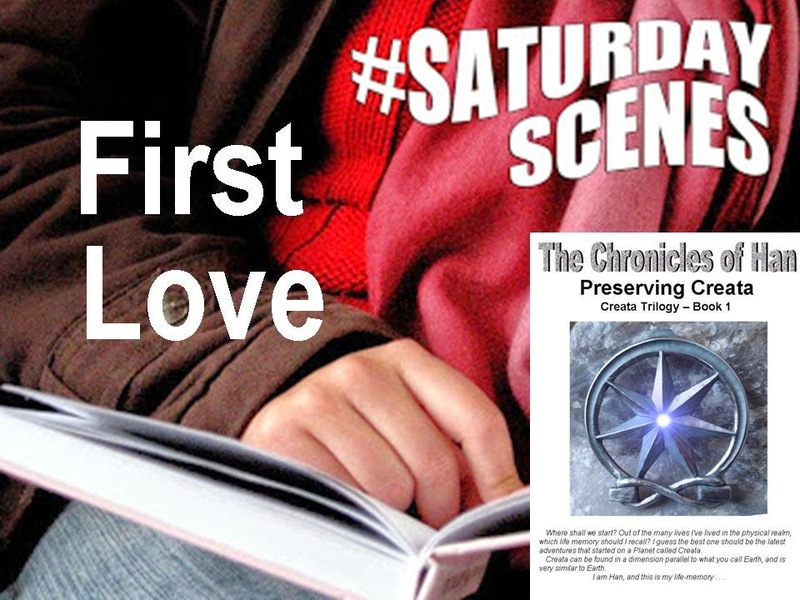 Note: The Chronicles of Han Storm is filled with romance as well, life lessons in making love and being love. These scenes are meant to be read in context with the books and not to be pulled apart in snippets or excerpts. The books are enjoyed by readers aged from young adult to pensioners.